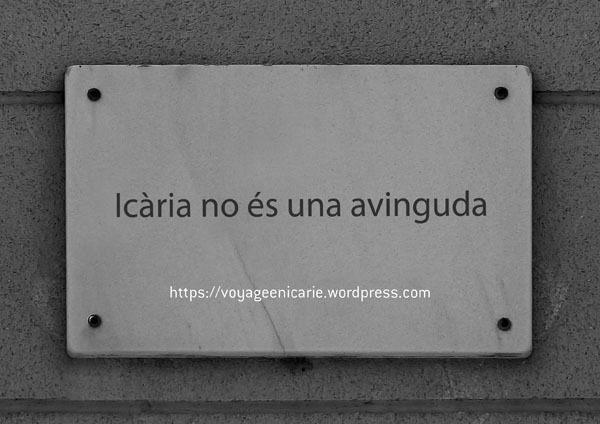 Icaria is an island imagined by the french philosopher and utopian socialist Étiénne Cabet in his book « Voyage en Icarie »(1839), in it he describes a social model that is antagonic to capitalism. 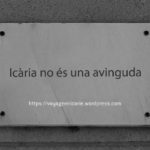 One of the catalonian followers of the icaria project was the engineer Ildefonso Cerdá, author of the Barcelonean “Ensanche” (urbanistic expansion plan) named the Avenue that still bears this name. We went down the avenue again until the point of origin watching the xerox copies. Some of the papers will stay there until the next working day, others may stay longer, and some have already started to fly away. It’s 3:15 pm.